Claude Elwood Shannon (April 30, 1916 – February 24, 2001) was an American mathematician, electrical engineer, and cryptographer known as "the father of information theory". Shannon is noted for having founded information theory with a landmark paper, A Mathematical Theory of Communication, that he published in 1948. He is perhaps equally well known for founding digital circuit design theory in 1937, when, as a 21-year-old master's degree student at the Massachusetts Institute of Technology (MIT), he wrote his thesis demonstrating that electrical applications of Boolean algebra could construct any logical, numerical relationship. Shannon contributed to the field of cryptanalysis for national defense during World War II, including his basic work on codebreaking and secure telecommunications. Shannon was born in Petoskey, Michigan and grew up in Gaylord, Michigan. His father, Claude, Sr. (1862–1934), a descendant of early settlers of New Jersey, was a self-made businessman, and for a while, a Judge of Probate. Shannon's mother, Mabel Wolf Shannon (1890–1945), was a language teacher, and for a number of years she was the principal of Gaylord High School. Most of the first 16 years of Shannon's life were spent in Gaylord, where he attended public school, graduating from Gaylord High School in 1932. Shannon showed an inclination towards mechanical and electrical things. His best subjects were science and mathematics, and at home he constructed such devices as models of planes, a radio-controlled model boat and a wireless telegraph system to a friend's house a half-mile away. While growing up, he also worked under Andrew Coltrey as a messenger for the Western Union company. His childhood hero was Thomas Edison, who he later learned was a distant cousin. Both were descendants of John Ogden (1609–1682), a colonial leader and an ancestor of many distinguished people. Shannon was apolitical and an atheist. In 1932, Shannon entered the University of Michigan, where he took a course that introduced him to the work of George Boole. He graduated in 1936 with two bachelor's degrees, in electrical engineering and mathematics. In 1936, Shannon began his graduate studies in electrical engineering at MIT, where he worked on Vannevar Bush's differential analyzer, an early analog computer. While studying the complicated ad hoc circuits of this analyzer, Shannon designed switching circuits based on Boole's concepts. In 1937, he wrote his master's degree thesis, A Symbolic Analysis of Relay and Switching Circuits, A paper from this thesis was published in 1938. In this work, Shannon proved that his switching circuits could be used to simplify the arrangement of the electromechanical relays that were used then in telephone call routing switches. Next, he expanded this concept, proving that these circuits could solve all problems that Boolean algebra could solve. In the last chapter, he presents diagrams of several circuits, including a 4-bit full adder. Using this property of electrical switches to implement logic is the fundamental concept that underlies all electronic digital computers. Shannon's work became the foundation of digital circuit design, as it became widely known in the electrical engineering community during and after World War II. The theoretical rigor of Shannon's work superseded the ad hoc methods that had prevailed previously. Howard Gardner called Shannon's thesis "possibly the most important, and also the most noted, master's thesis of the century." Shannon received his Ph.D. degree from MIT in 1940. Vannevar Bush suggested that Shannon should work on his dissertation at the Cold Spring Harbor Laboratory, in order to develop mathematical formulation for Mendelian genetics. This research resulted in Shannon's Ph.D. thesis, called An Algebra for Theoretical Genetics. In 1940, Shannon became a National Research Fellow at the Institute for Advanced Study in Princeton, New Jersey. In Princeton, Shannon had the opportunity to discuss his ideas with influential scientists and mathematicians such as Hermann Weyl and John von Neumann, and he also had occasional encounters with Albert Einstein and Kurt Gödel. Shannon worked freely across disciplines, and this ability may have contributed to his later development of mathematical Information theory. Shannon then joined Bell Labs to work on fire-control systems and cryptography during World War II, under a contract with section D-2 (Control Systems section) of the National Defense Research Committee (NDRC). Shannon is credited with the invention of signal-flow graphs, in 1942. He discovered the topological gain formula while investigating the functional operation of an analog computer. For two months early in 1943, Shannon came into contact with the leading British mathematician Alan Turing. Turing had been posted to Washington to share with the U.S. Navy's cryptanalytic service the methods used by the British Government Code and Cypher School at Bletchley Park to break the ciphers used by the Kriegsmarine U-boats in the north Atlantic Ocean. He was also interested in the encipherment of speech and to this end spent time at Bell Labs. Shannon and Turing met at teatime in the cafeteria. Turing showed Shannon his 1936 paper that defined what is now known as the "Universal Turing machine"; this impressed Shannon, as many of its ideas complemented his own. In 1945, as the war was coming to an end, the NDRC was issuing a summary of technical reports as a last step prior to its eventual closing down. Inside the volume on fire control a special essay titled Data Smoothing and Prediction in Fire-Control Systems, coauthored by Shannon, Ralph Beebe Blackman, and Hendrik Wade Bode, formally treated the problem of smoothing the data in fire-control by analogy with "the problem of separating a signal from interfering noise in communications systems." In other words, it modeled the problem in terms of data and signal processing and thus heralded the coming of the Information Age. Shannon's work on cryptography was even more closely related to his later publications on communication theory. At the close of the war, he prepared a classified memorandum for Bell Telephone Labs entitled "A Mathematical Theory of Cryptography," dated September 1945. A declassified version of this paper was published in 1949 as "Communication Theory of Secrecy Systems" in the Bell System Technical Journal. This paper incorporated many of the concepts and mathematical formulations that also appeared in his A Mathematical Theory of Communication. Shannon said that his wartime insights into communication theory and cryptography developed simultaneously and that "they were so close together you couldn’t separate them". In a footnote near the beginning of the classified report, Shannon announced his intention to "develop these results … in a forthcoming memorandum on the transmission of information." While he was at Bell Labs, Shannon proved that the cryptographic one-time pad is unbreakable in his classified research that was later published in October 1949. He also proved that any unbreakable system must have essentially the same characteristics as the one-time pad: the key must be truly random, as large as the plaintext, never reused in whole or part, and be kept secret. Later on in the American Venona project, a supposed "one-time pad" system by the Soviets was partially broken by the National Security Agency, but this was because of misuses of the one-time pads by Soviet cryptographic technicians in the United States and Canada. The Soviet technicians made the mistake of using the same pads more than once sometimes, and this was noticed by American cryptanalysts. In 1948, the promised memorandum appeared as "A Mathematical Theory of Communication", an article in two parts in the July and October issues of the Bell System Technical Journal. This work focuses on the problem of how best to encode the information a sender wants to transmit. In this fundamental work he used tools in probability theory, developed by Norbert Wiener, which were in their nascent stages of being applied to communication theory at that time. Shannon developed information entropy as a measure for the uncertainty in a message while essentially inventing the field of information theory. The book, co-authored with Warren Weaver, The Mathematical Theory of Communication, reprints Shannon's 1948 article and Weaver's popularization of it, which is accessible to the non-specialist. Warren Weaver pointed out that the word information in communication theory is not related to what you do say, but to what you could say. That is, information is a measure of one's freedom of choice when one selects a message. Shannon's concepts were also popularized, subject to his own proofreading, in John Robinson Pierce's Symbols, Signals, and Noise. Information theory's fundamental contribution to natural language processing and computational linguistics was further established in 1951, in his article "Prediction and Entropy of Printed English", showing upper and lower bounds of entropy on the statistics of English – giving a statistical foundation to language analysis. In addition, he proved that treating whitespace as the 27th letter of the alphabet actually lowers uncertainty in written language, providing a clear quantifiable link between cultural practice and probabilistic cognition. Another notable paper published in 1949 is "Communication Theory of Secrecy Systems", a declassified version of his wartime work on the mathematical theory of cryptography, in which he proved that all theoretically unbreakable ciphers must have the same requirements as the one-time pad. He is also credited with the introduction of sampling theory, which is concerned with representing a continuous-time signal from a (uniform) discrete set of samples. This theory was essential in enabling telecommunications to move from analog to digital transmissions systems in the 1960s and later. He returned to MIT to hold an endowed chair in 1956. In 1956 Shannon joined the MIT faculty to work in the Research Laboratory of Electronics (RLE). He continued to serve on the MIT faculty until 1978. Shannon developed Alzheimer's disease and spent the last few years of his life in a nursing home in Massachusetts oblivious to the marvels of the digital revolution he had helped create. He died in 2001. He was survived by his wife, Mary Elizabeth Moore Shannon, his son, Andrew Moore Shannon, his daughter, Margarita Shannon, his sister, Catherine Shannon Kay, and his two granddaughters. His wife stated in his obituary that, had it not been for Alzheimer's disease, "He would have been bemused" by it all. The Minivac 601, a digital computer trainer designed by Shannon. Outside of his academic pursuits, Shannon was interested in juggling, unicycling, and chess. He also invented many devices, including a Roman numeral computer called THROBAC, juggling machines, and a flame-throwing trumpet. 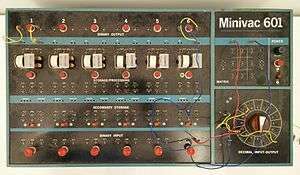 One of his more humorous devices was a box kept on his desk called the "Ultimate Machine", based on an idea by Marvin Minsky. Otherwise featureless, the box possessed a single switch on its side. When the switch was flipped, the lid of the box opened and a mechanical hand reached out, flipped off the switch, then retracted back inside the box. Renewed interest in the "Ultimate Machine" has emerged on YouTube and Thingiverse. In addition he built a device that could solve the Rubik's Cube puzzle. Shannon designed the Minivac 601, a digital computer trainer to teach business people about how computers functioned. It was sold by the Scientific Development Corp starting in 1961. He is also considered the co-inventor of the first wearable computer along with Edward O. Thorp. The device was used to improve the odds when playing roulette. Shannon met his wife Betty when she was a numerical analyst at Bell Labs. They were married in 1949. Shannon had three children, Robert James Shannon, Andrew Moore Shannon, and Margarita Shannon, and raised his family in Winchester, Massachusetts. His oldest son, Robert Shannon, died in 1998 at the age of 45. To commemorate Shannon's achievements, there were celebrations of his work in 2001. There are currently six statues of Shannon sculpted by Eugene Daub: one at the University of Michigan; one at MIT in the Laboratory for Information and Decision Systems; one in Gaylord, Michigan; one at the University of California, San Diego; one at Bell Labs; and another at AT&T Shannon Labs. After the breakup of the Bell System, the part of Bell Labs that remained with AT&T Corporation was named Shannon Labs in his honor. According to Neil Sloane, an AT&T Fellow who co-edited Shannon's large collection of papers in 1993, the perspective introduced by Shannon's communication theory (now called information theory) is the foundation of the digital revolution, and every device containing a microprocessor or microcontroller is a conceptual descendant of Shannon's publication in 1948: "He's one of the great men of the century. Without him, none of the things we know today would exist. The whole digital revolution started with him." 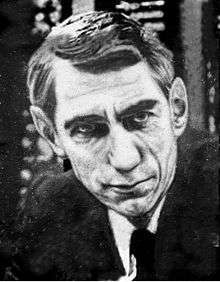 The unit shannon is named after Claude Shannon. Shannon and his electromechanical mouse Theseus (named after Theseus from Greek mythology) which he tried to have solve the maze in one of the first experiments in artificial intelligence. Theseus, created in 1950, was a magnetic mouse controlled by a relay circuit that enabled it to move around a maze of 25 squares. Its dimensions were the same as those of an average mouse. The maze configuration was flexible and it could be modified at will. The mouse was designed to search through the corridors until it found the target. Having travelled through the maze, the mouse would then be placed anywhere it had been before and because of its prior experience it could go directly to the target. If placed in unfamiliar territory, it was programmed to search until it reached a known location and then it would proceed to the target, adding the new knowledge to its memory thus learning. Shannon's mouse appears to have been the first artificial learning device of its kind. The coefficients .5 and .1 are merely the writer's rough estimate. Furthermore, there are many other terms that should be included. The formula is given only for illustrative purposes. Checkmate has been artificially included here by giving the king the large value 200 (anything greater than the maximum of all other terms would do). The evaluation function is clearly for illustrative purposes, as Shannon stated. For example, according to the function, pawns that are doubled as well as isolated would have no value at all, which is clearly unrealistic. Shannon and his wife Betty also used to go on weekends to Las Vegas with MIT mathematician Ed Thorp, and made very successful forays in blackjack using game theory type methods co-developed with fellow Bell Labs associate John L. Kelly Jr., a physicist, based on principles of information theory. His method, known as the High-Low method, a level 1 count methodology, works by adding 1, 0, or -1 depending on the cards that appear. Shannon and Thorp also invented a small, concealable computer to help them calculate odds while gambling. They made a fortune, as detailed in the book Fortune's Formula by William Poundstone and corroborated by the writings of Elwyn Berlekamp, Kelly's research assistant in 1960 and 1962. Shannon and Thorp also applied the same theory, later known as the Kelly criterion, to the stock market with even better results. Claude Shannon's card count techniques were explained in Bringing Down the House, the best-selling book published in 2003 about the MIT Blackjack Team by Ben Mezrich. In 2008, the book was adapted into a drama film titled 21. Shannon formulated a version of Kerckhoffs' principle as "The enemy knows the system". In this form it is known as "Shannon's maxim". The Shannon Centenary, 2016, marks the life and influence of Claude Elwood Shannon on the hundredth anniversary of his birth on 30 April 1916. It is inspired in part by the Alan Turing Year. An ad hoc committee of the IEEE Information Theory Society including Christina Fragouli, Rüdiger Urbanke, Michelle Effros, Lav Varshney and Sergio Verdú, is coordinating worldwide events. The initiative was announced in the History Panel at the 2015 IEEE Information Theory Workshop Jerusalem and the IEEE Information Theory Society Newsletter. A detailed listing of confirmed events is available on the website of the IEEE Information Theory Society. Bell Labs will launch a Web exhibit on April 30, 2016, chronicling Shannon's hiring at Bell Labs (under an NDRC contract with US Government), his subsequent work there from 1942 through 1957, and details of Mathematics Department. The exhibit will also display bios of colleagues and managers during his tenure, as well as original versions of some of the technical memoranda which subsequently became well known in published form. The Republic of Macedonia is planning a commemorative stamp. A USPS commemorative stamp is being proposed, with an active petition. A documentary on Claude Shannon and on the impact of information theory is being produced by Sergio Verdú and Mark Levinson. A trans-Atlantic celebration of both George Boole's bicentenary and Claude Shannon's centenary that is being led by University College Cork and the Massachusetts Institute of Technology. A first event was a workshop in Cork, When Boole Meets Shannon, and will continue with exhibits at the Boston Museum of Science and at the MIT Museum. Many organizations around the world are holding observance events, including the Boston Museum of Science, the Heinz-Nixdorf Museum, the Institute for Advanced Study, Technische Universität Berlin, University of South Australia (UniSA), Unicamp (Universidade Estadual de Campinas), University of Toronto, Chinese University of Hong Kong, Cairo University, Telecom ParisTech, National Technical University of Athens, Indian Institute of Science, Indian Institute of Technology Bombay, Indian Institute of Technology Kanpur, Nanyang Technological University of Singapore, University of Maryland, University of Illinois at Chicago, École Polytechnique Federale de Lausanne, The Pennsylvania State University (Penn State), University of California Los Angeles, Massachusetts Institute of Technology, Chongqing University of Posts and Telecommunications, and University of Illinois at Urbana-Champaign. A series of geocaches, dedicated to the work of Claude Shannon, will be deployed in Munich, Germany. The first cache has already been placed. A logo that appears on this page was crowdsourced on Crowdspring. The Claude E. Shannon Award was established in his honor; he was also its first recipient, in 1972. ↑ James, I. (2009). "Claude Elwood Shannon 30 April 1916 -- 24 February 2001". Biographical Memoirs of Fellows of the Royal Society. 55: 257–265. doi:10.1098/rsbm.2009.0015. 1 2 3 4 5 "Bell Labs Advances Intelligent Networks". Archived from the original on July 22, 2012. 1 2 Poundstone, William (2005). Fortune's Formula : The Untold Story of the Scientific Betting System That Beat the Casinos and Wall Street. Hill & Wang. ISBN 978-0-8090-4599-0. ↑ "Claude Shannon". nyu.edu. Retrieved September 10, 2014. ↑ William Poundstone (2010). Fortune's Formula: The Untold Story of the Scientific Betting System. Macmillan. p. 18. ISBN 978-0-374-70708-8. Shannon described himself as an atheist and was outwardly apolitical. ↑ Robert Price (1982). "Claude E. Shannon, an oral history". IEEE Global History Network. IEEE. Retrieved July 14, 2011. 1 2 Claude Shannon, "A Symbolic Analysis of Relay and Switching Circuits," unpublished MS Thesis, Massachusetts Institute of Technology, August 10, 1937. ↑ Shannon, C. E. (1938). "A Symbolic Analysis of Relay and Switching Circuits". Trans. AIEE. 57 (12): 713–723. doi:10.1109/T-AIEE.1938.5057767. ↑ Gardner, Howard (1987). The Mind's New Science: A History of the Cognitive Revolution. Basic Books. p. 144. ISBN 0-465-04635-5. ↑ C. E. Shannon, "An algebra for theoretical genetics", (Ph.D. Thesis, Massachusetts Institute of Technology, 1940), MIT-THESES//1940–3 Online text at MIT — Contains a biography on pp. 64–65. ↑ Erico Marui Guizzo, “The Essential Message: Claude Shannon and the Making of Information Theory” (M.S. Thesis, Massachusetts Institute of Technology, Dept. of Humanities, Program in Writing and Humanistic Studies, 2003), 14. ↑ Okrent, Howard; McNamee, Lawrence P. (1970). "3. 3 Flowgraph Theory". NASAP-70 User's and Programmer's manual (PDF). Los Angeles, California: School of Engineering and Applied Science, University of California at Los Angeles. pp. 3–9. Retrieved 2016-03-04. ↑ David A. Mindell, Between Human and Machine: Feedback, Control, and Computing Before Cybernetics, (Baltimore: Johns Hopkins University Press), 2004, pp. 319-320. ISBN 0-8018-8057-2. ↑ David Kahn, The Codebreakers, rev. ed., (New York: Simon and Schuster), 1996, pp. 743–751. ISBN 0-684-83130-9. ↑ quoted in Kahn, The Codebreakers, p. 744. ↑ quoted in Erico Marui Guizzo, "The Essential Message: Claude Shannon and the Making of Information Theory," Archived May 28, 2008, at the Wayback Machine. unpublished MS thesis, Massachusetts Institute of Technology, 2003, p. 21. Archived May 28, 2008, at the Wayback Machine. ↑ Shannon, Claude (1949). 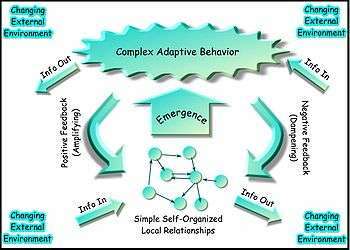 "Communication Theory of Secrecy Systems". Bell System Technical Journal 28 (4): 656–715. 1 2 "Shannon, Claude Elwood (1916–2001) -- from Eric Weisstein's World of Scientific Biography". ↑ "claude shannon – computer science theory". ↑ "Claude Shannon Statue Dedications". ↑ "John Kelly, Jr. and His Formula". ↑ Bennett, William. "The Odds of Gambling". OCB. Retrieved April 21, 2014. ↑ Vancura, Olaf (1998). Knock-Out Blackjack: The Easiest Card-Counting System Ever Devised. Huntington Press Inc. p. 18. ISBN 978-0-929712-31-4. ↑ "Edward Thorp – Inventor of Card Counting". lolblackjack.com. Retrieved April 21, 2014. ↑ "William Poundstone – Author Site". ↑ "Shannon's centenary US postal stamp". ↑ "Compute and Communicate – A Boole/Shannon Celebration". ↑ Geocaching. "GC6ACQE Shanniversary #1: Information Theory (DE/EN) (Traditional Cache) in Bayern, Germany created by sigurd_fjoelskaldr". ↑ Roberts, Siobhan (30 April 2016). "Claude Shannon, the Father of the Information Age, Turns 1100100". The New Yorker. Retrieved 30 April 2016. ↑ "IEEE Morris N. Liebmann Memorial Award Recipients" (PDF). IEEE. Archived from the original (PDF) on 2016-03-03. Retrieved February 27, 2011. ↑ "IEEE Medal of Honor Recipients" (PDF). IEEE. Archived from the original (PDF) on 2015-04-22. Retrieved February 27, 2011. ↑ "C.E. Shannon (1916–2001)". Royal Netherlands Academy of Arts and Sciences. Retrieved 17 July 2015. ↑ "Award Winners (chronological)". Eduard Rhein Foundation. Retrieved February 20, 2011. Claude E. Shannon: A Mathematical Theory of Communication, Bell System Technical Journal, Vol. 27, pp. 379–423, 623–656, 1948. Mindell, David A., "Automation's Finest Hour: Bell Labs and Automatic Control in World War II", IEEE Control Systems, December 1995, pp. 72–80. David Mindell, Jérôme Segal, Slava Gerovitch, "From Communications Engineering to Communications Science: Cybernetics and Information Theory in the United States, France, and the Soviet Union" in Walker, Mark (Ed. ), Science and Ideology: A Comparative History, Routledge, London, 2003, pp. 66–95.